This is the last week for the .99 Sale on The Imaginings. Average 4.5 stars over 13 reviews. Hope you check it out, or at least help me spread the word for this final stretch. As a partner to this week’s post, next Friday, I’ll be posting “Seven Questions with Author Penelope Crowe.” I had originally intended to post them this week, but my review of her book ran a little longer than I thought. From Amazon.com: 100 Unfortunate Days is the diary of a woman on the verge of a breakthrough–or breakdown. Her musings are at times surreal and dark, and other times beautiful and dream-like. She allows herself to admit the secret thoughts that cross our minds, but we often censor. She speaks of her abysmal marriage, her regrets of becoming a mother, and wonders if she can kill people with her mind. 100 Unfortunate Days makes us question our sanity, or at least our definition of who is good and who is terrible. 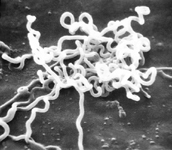 The first time I heard of spirochetes was in Vonnegut’s introduction to Breakfast of Champions, where he talks about the corkscrew bacteria which afflict poor souls in the last stages of syphilis. It is an image which stuck with me. A little research will tell you that this particular phylum of bacteria can be the cause of anything from relapsing fever to Lyme disease. But the reader of Crowe’s book isn’t quite sure what to believe. Is this woman actually afflicted with some sort of physical illness, or is she just letting a mental illness get away with her? Does she really have something that is causing these thoughts? Or did she perhaps read, as I did, something that made her suspect her brain had actually been infested? Now this was just Day One, but the question of what the narrators perceives as reality stays with the reader for most of the story. But let it be noted early on, “story” is a tricky term to use. This is, after all, simply 100 days in her life. And life doesn’t always have a coherent storyline (but more on that later). However, for this particular reader, in those 100 days was a writer’s paradise. What will probably come off as schizophrenic for many readers (probably the author’s intent) was rich material for me full of possibilities. Many spots reminded me of my post, A day in the mind of a horror writer. Of course, I’ve often questioned my own sanity, so this narrator frequently felt like an old friend. Having said that, this reflects perhaps not so much a complaint, but rather a frustration I had with 100 Unfortunate Days. I understand this is not my book, but there were so many possible story ideas, so many possible directions that I wanted things to go for the narrator, but these ideas didn’t usually materialize much past the day they were written. Crowe kept dropping these beautiful gems, but because it is not our story, all we can do as writers is to look at them as we pass. On the flip side, while there was so much more that I wanted to happen to the narrator, and so much more I wanted to know about her, at the same time I felt like I knew her very well. And this is a direct result of the way 100 Unfortunate Days was structured. Another writer friend of mine, Aniko Carmean, said that she felt like she needed to go back and look over it again, search out any patterns or significance in the days and what the narrator was thinking that day. I think I agree. I would like to take another look, as well, because there does seem to be a pattern in the mania, or at least repetition of some central ideas. And it goes beyond just a woman unhappy with her life. There are undercurrents, and if I were to categorize, they run the gamut from science to superstition to skepticism. Personally, I love all those things, and I was thoroughly entertained (if a little disturbed or mystified) whenever they came up in the narrator’s daily ruminations. But the simple discontentment can’t be denied. This is an unhappy woman. And for some pretty good reasons. And for some pretty normal reasons. Dare I say, familiar reasons? There were definitely a few moments where the words on the page (or Kindle, rather) could’ve been penned by my own hand. Again, as if I don’t already question my own sanity enough. Speaking of questioning (and that skepticism I mentioned earlier), this is a woman who has lost her fondness for God, if she believes that he exists in the first place. The tone is often accusatory and even venomous at times. And it is real. Whether I agreed or not, I could understand why she felt the way she did, and I will say that certain sentiments again echoed my own. The beliefs (or lack thereof) of humanity have always been a fascinating topic to me, and I’m open to most ideas. However, I’m just giving the rest of you a little heads-up if you might be offended by this type of thinking. And again, it’s important that you don’t come to this story expecting a clear, strong thread of a story. While the aforementioned undercurrents are certainly there, 100 Unfortunate Days is very much like a journal would be. We’ve been granted a vision into 100 of this woman’s days. And they’re not pretty. We don’t necessarily get to see where she was before these days, and at the end, we don’t know whether to be fearful or optimistic for where she may be on Day 101. This was probably my biggest struggle, but in this, Crowe has done something innovative. Did I want to know more? You bet. And I would hope there would be more someday, but until then, I was thoroughly drawn in by this glimpse into the mind of a fascinating character. And based on the reviews at Amazon, I don’t believe I’m alone when I say again, perhaps a glimpse into a bit of my own reflection. I also have Absorbed by Ms. Crowe on my Kindle, and after this one, I think I’ll push it up in the rotation. Have you read 100 Unfortunate Days? What were your thoughts? Are there any books you’ve read where the narrator seemed to be frequently speaking on your behalf? Finally, one last call for help spreading the word about my .99 February sale for The Imaginings. I haven’t read 100 Days yet but I will put it on my reading list for now. As far as identifying a narrator, I identified a lot with the narrator of Bright Lights, Big City (even if I don’t go to clubs or do coke). Although that’s 2nd person and it’s up to interpretation of whether it’s the character talking about himself, somebody else talking about the character, or Jay McInerney talking about the character (himself?). Also, I identified with Clay in Less Than Zero. Again, I’m a very different person from Clay. However, we both grew up in The Valley (albeit very different eras and areas of it) and I can understand his detached view from it all. Also, I just want to tell you that I picked up a copy of The Imaginings. I’ll be more than happy to spread the word of the 99 cents sale. Hey Andrew, thanks for your thoughts. And interesting comparisons. I haven’t read Less Than Zero, but I find it interesting that you relate to the detachment. I second your slow February comment. Wow, talk about nosediving sales after a pretty fair Christmas! Hi Michelle, thanks for stopping by. And no, I don’t necessarily know that this would be the read for you. But I appreciate you coming by and leaving a comment. Hope you have a good weekend. Sounds like a great read. I’ve had 64 unfortunate years. Does that count for anything? Hmmn. And I have a feeling some of those years were pretty raucous. I’ve always hoped that when we die we get the opportunity to rent the video of our lives. Except maybe it would be like a choose-your-own adventure, and we could see where life might’ve gone had we done things differently. Oh, and I want to get the soundtrack, too. Thanks for sharing this, Paul. I keep filling up my Kindle faster than I finish books; however, this is one of two or three novels that are haunting me from the periphery that I really need to get to…and soon. Thanks for stopping by, Jimmy. You’ll have to let me know when you get to it. I’ll be curious to know your thoughts. I have read 100 Unfortunate Days. 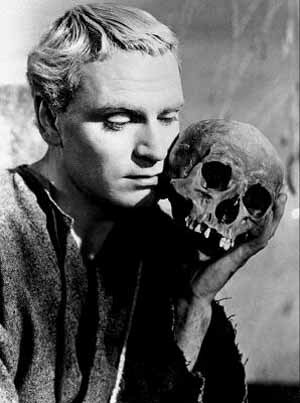 The voice – or, possibly voices – of the narrator created a chilling mood that permeated my reality long after I finished reading. I felt as though reading 100 Unfortunate Days conjured something dark; I do not know if it was the darkness within me that resonated, or if the book were able to call darkness to it. That sounds absolutely, flipping crazy. I know. But… that is the power of Penelope’s book. I need to write a review. 100 Unfortunate Days deserves a thoughtful review. I’m just working up the nerve to read it again! Voices that speak to me from other books…. No book really stands out. I find bits of thought from characters to resonate, but there has never been a one particular narrator that I felt was really speaking to me directly. I am not certain if this says something worse about my reading habits or about my apparent lack of self-cohesion. I recognize other people more often than I see myself. I think I get so absorbed when I read, I cease to exist. It’s hard for a non-existent entity to feel directly spoken to, I guess. Thanks for sharing your thoughts on 100 Unfortunate Days! Interesting that you should say that, Aniko. Having looked over some of the other reviews for this book, I saw a few other people say the same… as if it was some sort of spell book. I didn’t get this impression, but I can see where it might stem from the occasional posts that deal with superstition, dream analysis, etc… For me it was definitely more human horror than supernatural. For me, if there was any magic, it was when the narrator seemed to tap into my own thoughts, but perhaps this is her way of drawing on what Jung would’ve called our collective unconsciousness. Thanks for always posting something worth commenting upon! I’m a superstitious girl. I attract strange events. I also am prone to an overactive imagination, so even I take what I say with a grain of salt. 100 Unfortunate Days certainly had a lot of human horror. I don’t deny that – some of the musings made me uncomfortable because they are the sort of thoughts I have and don’t tell anyone about because they seem … bad. Wrong. Evil, even. There is a lot of energy around the story, and it could be that it triggers something in me, rather than some independent source of terror. Archetypes is a good call. I love to get feedback on things I have wriiten–I especially like to know how people feel. I like to know that you feel a pattern within the book. I figured it would be a frustrating and uncomfortable book for many people, yet I wanted it to be that way. I wanted it to evoke feelings–some negative some positive–by writing something different. My pleasure to review. I hope it generates a little buzz for you. And you definitely succeeded in evoking feelings and emotions. I knew even as I was writing my review that some of the things that frustrated me were most likely intentional. As I’m sure you’ve seen from various other reviews, you have a definite knack for connecting with your readers. And as I mentioned, looking forward to Absorbed.